The applicants who are looking for the AIIMS Recruitment Notification 2017 are at the right place. In this article, we are going to describe all the information regarding the vacancy in the following sections of this post. The board has released the official notification for the recruitment. The candidates can apply for the recruitment on the official website of the department that is www.aiimsrishikesh.edu.in. For latest updates, you can check our careerjobs360 and get all the latest updates from here and stay connected with us for further use. 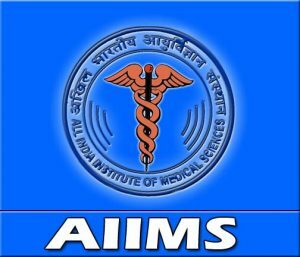 The All India Institute of Medical Sciences (AIIMS) has released the official announcement for the AIIMS Law Officer Recruitment 2017. There are total 305 posts available in the department. The names of the vacant positions available in the department are Law officer Dietician, Assistant Stores Officer, Audiologist, Bio-Medical Engineer, Legal Assistant, Maternity and Child Welfare Officer, Medical Record Officer and Other vacancies. The board is looking for the talented and deserving applicants for the vacant posts. The candidates can apply online for the vacancy by submitting the AIIMS Recruitment Application Form 2017 through the online mode on or before the last date that is 16th October 2017. The interested and skilled candidates can apply for the recruitment before the last date specified by the organization. The essential information regarding the job process like the eligibility criteria, academic qualification, age limitation, age relaxation, application fees, selection procedure and all other information is given below. The candidates must go through this information before applying online for the recruitment. Educational Qualification: Candidates must have done M.Sc. (Home science Food and Nutrition)/ M.Sc (Clinical Nutrition and Dietetics)/ M.Sc. (Food Science & Nutrition)/ M.Sc (Food and Nutrition Dietetics) / M.Sc. (Food Service Management and Dietetics) from a recognized university or institutions. For more details, candidates can check the official advertisement. Age Limitation: The minimum age limit for the contenders is 30 years and the maximum age limit for the contenders is 45 years. For more extra information, you can check the official notification. Application Fees: For General and OBC category candidates (Group A & B) they must have to pay application fees of Rs 3000/- and the General and OBC category candidates (Group C) they must have to pay application fees of Rs 2000 and the SC/St category candidates they must have to pay application fees of Rs 1000/-. Selection Procedure: The contenders will be selected on the basis of their performance in the following rounds. Salary Scale: The finally selected contenders will get a healthy amount of monthly salary specified by the department. For more details, candidates can check the official notification. After that, go to Career option and find out the AIIMS Law Officer Recruitment 2017 Notification link on the homepage. Then, open the notification to the next page. Candidates must read the official notification very carefully before applying for the vacancy. After that, you may fill all the asked detailed information in the application form. Attached all the required credentials with the application form. Then, Upload passport size image and signature on the application form. Now, click on the submit button and submit the application form. At last, take a printout copy of the application and keep it safe for future use.